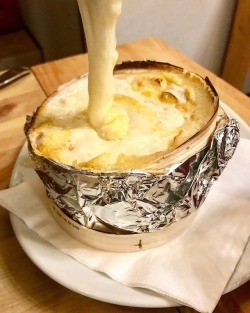 What a great discovery Le Denti, Annecy; this is a restaurant that you probably won’t find while strolling the streets of the old town and not a tartiflette or any Savoyard fayre in sight! So probably not a resto that the tourists will seek out and on the day I visited, it was very much local clientele. Tucked behind the old town and opposite the cemetery in Annecy is Le Denti restaurant owned and run by Virginia and Stéphane Danjoux since 2010. Rated on Trip Advisor as No. 14 of 332 restaurants in Annecy at the time of writing, I am amazed it’s not right up there competing for one of the top spots! The small, modern yet understated in decor and welcoming restaurant can seat around 25 – 30 covers, so booking is advisable. 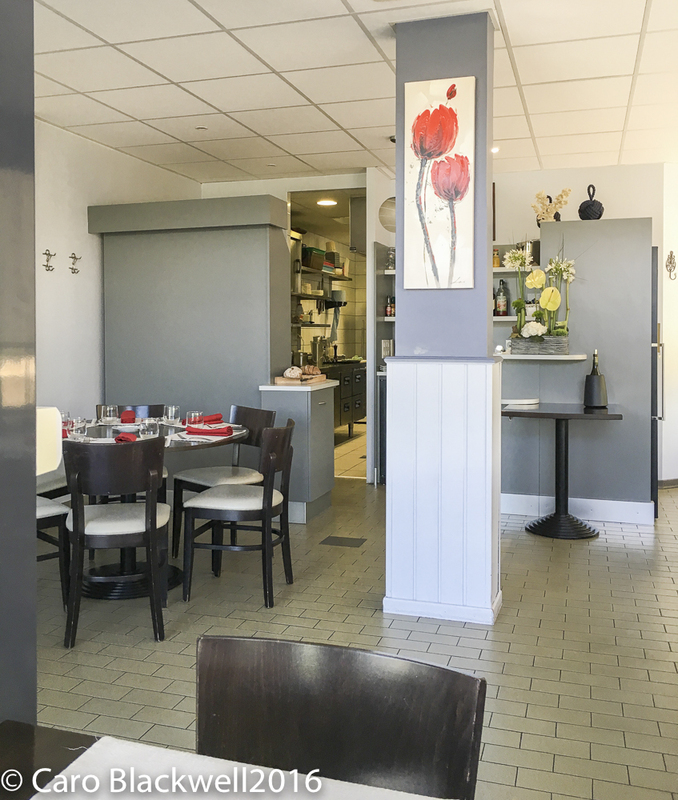 It has a light and cool atmosphere and the kitchen is clearly visible and one can observe Stéphane quietly creating his wonderful dishes with calm aplomb. 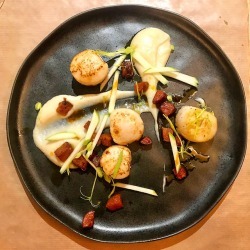 The menu offers a choice of 2 set menus at lunchtime the Retour du Marché a daily 3-course ‘menu du jour’ which represents extremely good value at €22. 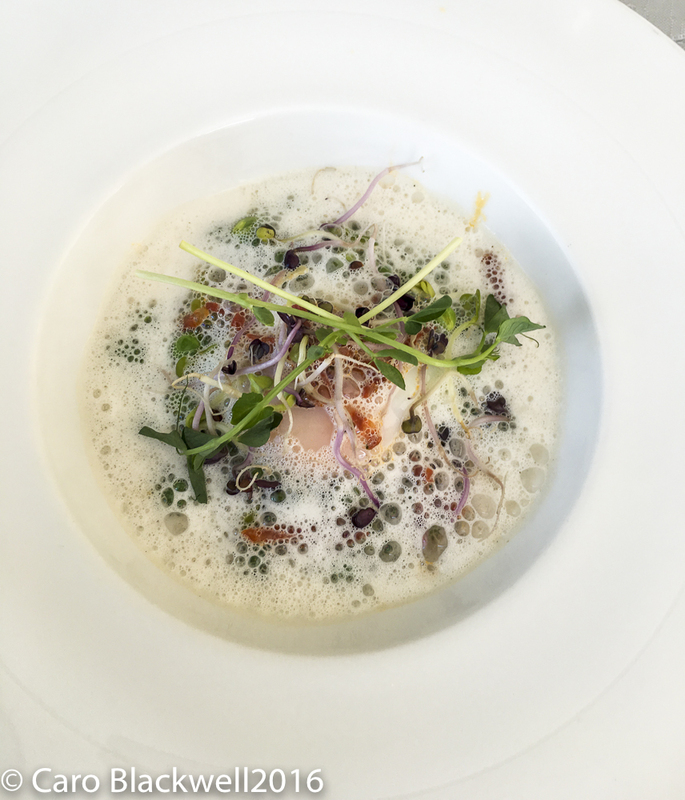 Alternatively, the C’est de Saison priced at €32.00 is a 3-course menu and offers a choice of 2 different dishes per course from the à la carte menu. The à la carte menu offered 2 starters, 3 main courses which included a really special ‘suggestion du moment’ dish, a cheese plate and 3 desserts. Everything is freshly cooked really well using local seasonal produce and what we ate was beautifully presented. Virginia who was serving in the restaurant was so polite, friendly and welcoming especially as it was evident we were not french although spoke french. She explained everything clearly to us and you couldn’t help but notice a certain pride in her work. 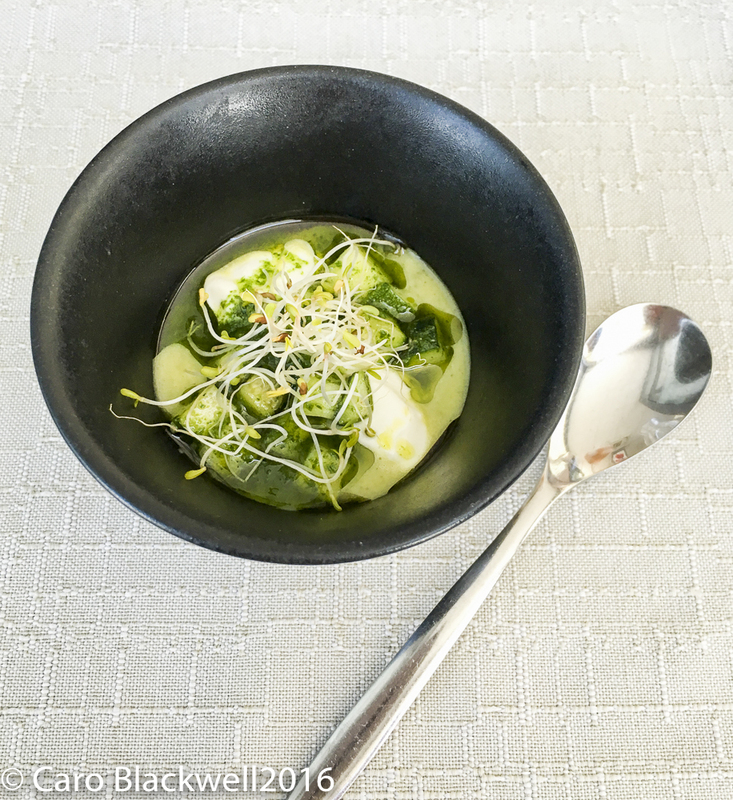 We were served an amuse bouche with our aperitif – the amuse bouche was a delightfully tasty courgette and fromage frais taster dish. I chose 2 courses from the C’est de Saison a la carte an amazing ‘basse’ temperature cooked egg served with peas, broad beans and chorizo. The flavours were wonderful. 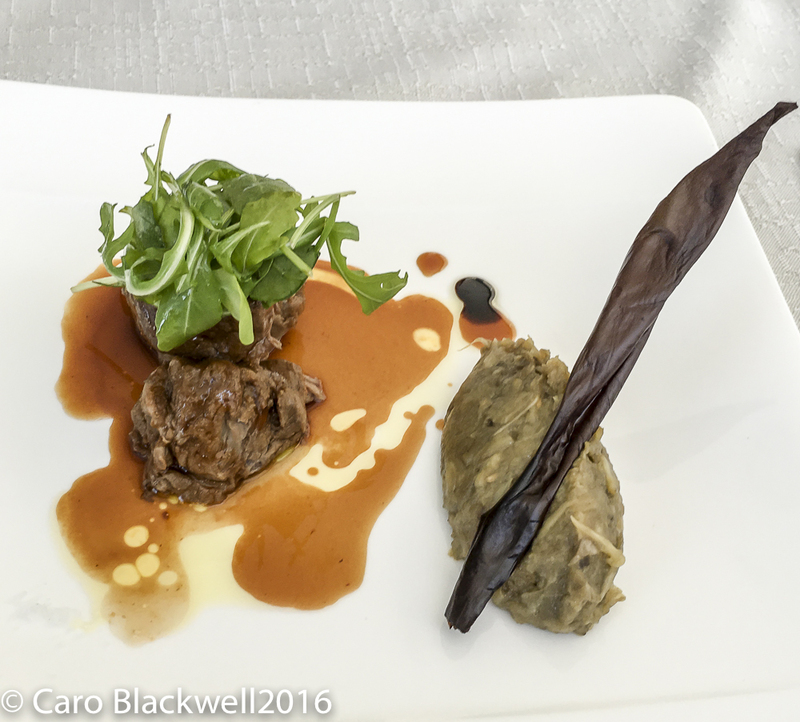 The Retour du Marche menu had slow cooked pork cheeks served with an aubergine puree and luckily my friend ordered this so I got a taste and it was simply divine! The main course on the Retour du Marche was a wild cod served with semoule (polenta) and vegetables in a foam emulsion, so beautifully presented and again oh so tasty! 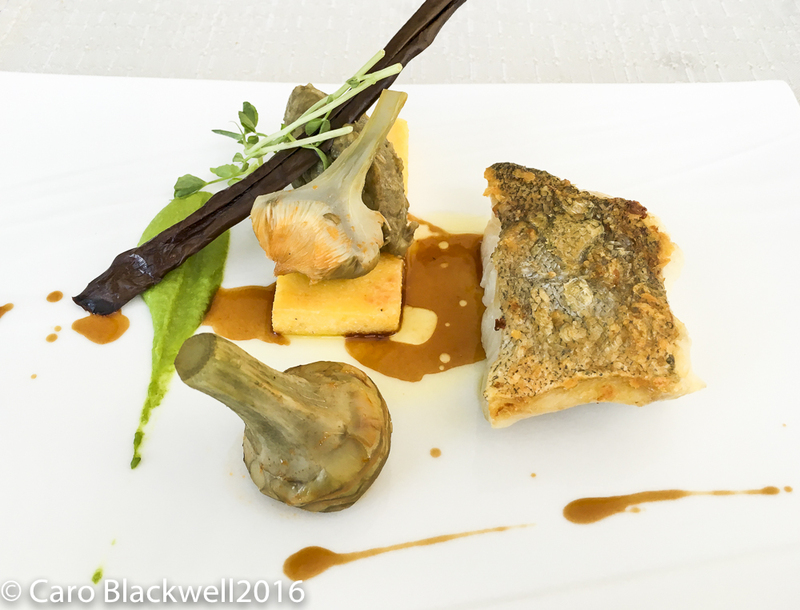 My main course was the line caught lieu jaune (European pollock) with aubergine puree and artichokes. 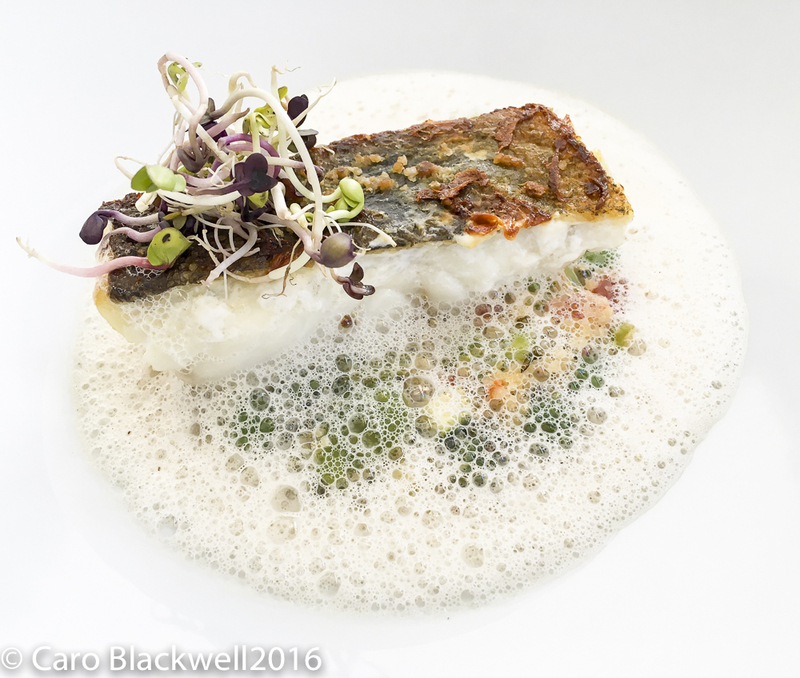 line caught lieu jaune (European pollock) with aubergine puree and artichokes. An elegant plate and the fish was cooked to perfection. The flavour combinations worked so well. 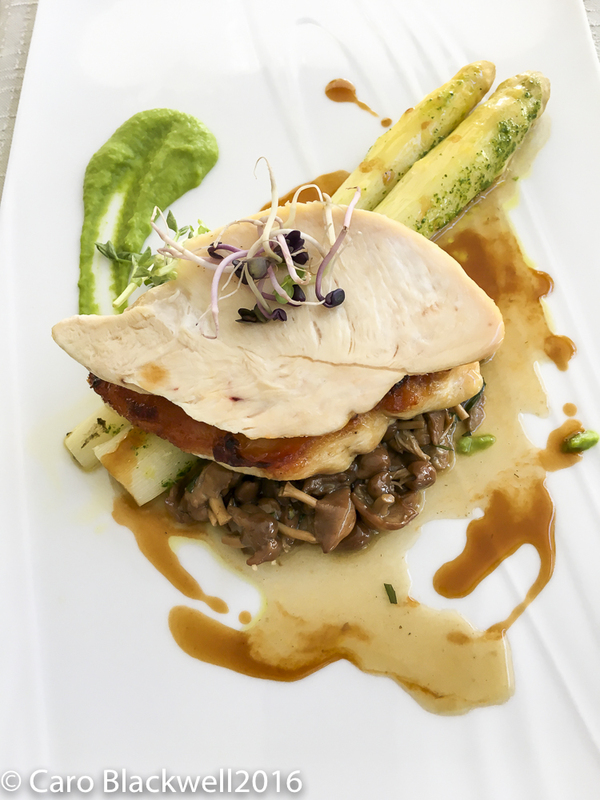 Another friend had ordered the poulet fermier with wild mushrooms and asparagus and again this dish did not disappoint on either looks or flavours! We were all so thrilled at our new restaurant discovery! 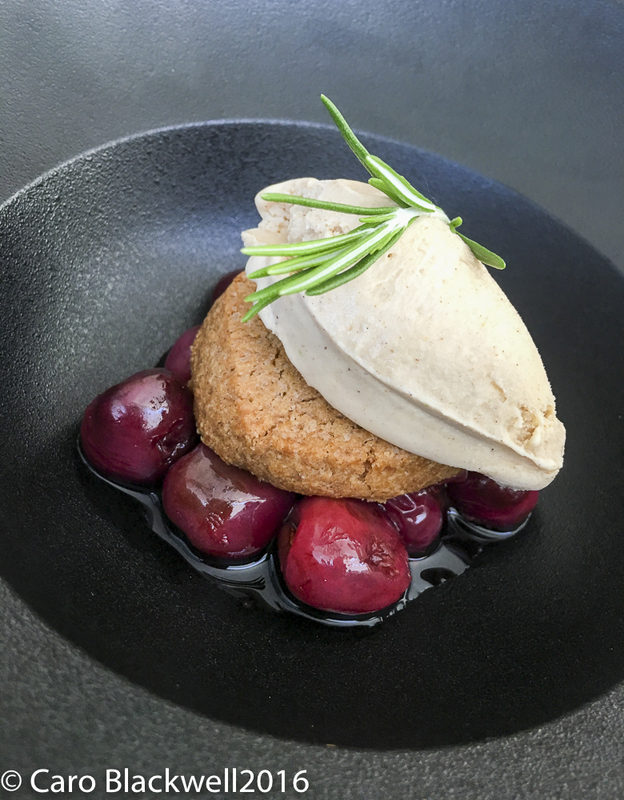 Sadly feeling rather full so unable to taste the other desserts on the menu, we had 3 spoons and shared the dessert of the day from the Retour du Marché menu – a pretty dish of poached cherries topped by a homemade speculoos shortbread style cookie and topped with a pain d’epices ice cream. This was very tasty and the combination of flavours was so good and though a sunny early summers day; the flavours were reminiscent of Christmas and winter! It is an easy 10-minute walk from the lake area and central car parks but there are parking spaces beside the restaurant too. I would suggest making a reservation – Tel 04 50 64 21 17 Address: 25 Avenue de Loverchy, 74000 Annecy. I really enjoyed this restaurant and the food was very good and I will definitely go back. I booked and paid for my lunch and this is my personal opinion of my dining experience. 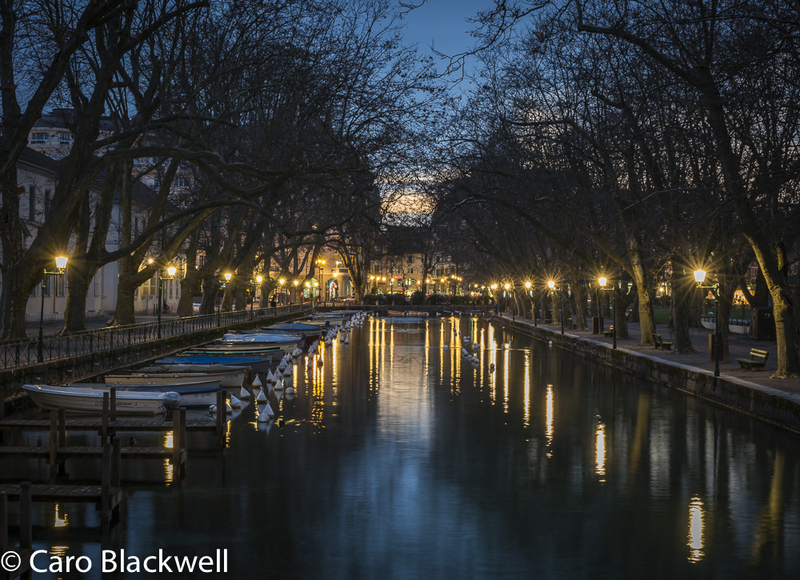 Annecy is a wonderful medieval market town in the Haute Savoie with several canals running through it. The town is situated on a beautiful deep water lake, the third largest lake in France with a dramatic mountain-scape all around. There are several boat sight-seeing trips on the lake and from April for the summer months it is possible to hire pedalos and small power boats to take your own visit around the lake. The food market in the old town is weekly on a Tuesday, Friday and Sunday morning and is well worth a visit to experience the wonderful, sights, colours and local Savoyard produce. On the last Saturday of each month is a wonderful flea market that spreads through the old town and over the bridges, artists, artisans and brocante all showing their wares.